This is it! The last episode of Dash Cardigan! Thanks to everyone for joining us on this ride, we hope you enjoyed it. Big changes for the Centauri Express next month. First, new series! Nairobi Jack Rackham and the Lost Gold of the Atlantimengani by Thomas E. Fuller. Second, new release schedule! You’ll now get the Express on the second AND fourth Thursday of every month! [podcast src=”https://html5-player.libsyn.com/embed/episode/id/5534849/height/360/width/480/theme/standard-mini/autonext/no/thumbnail/yes/autoplay/no/preload/no/no_addthis/no/direction/forward/” height=”360″ width=”480″ placement=”top”]This is it! The penultimate episode of Dash Cardigan! Be sure to let us know what you think of the series and whether you’d like to have season two. And we also have good news: Nairobi Jack and the Lost Gold of the Atlantimengani is back on schedule for a September release, right after we wrap up Dash. Be sure to review us on iTunes, Stitcher, or wherever you found us. Those reviews help others find us, plus we just like hearing what you have to say. You can also contact us directly and let us know what you think of the Express. We’re here for YOU, so let us know what you want from this audio magazine! And, of course, last but not least, if you’re enjoying the Express and want to hear more great programs like it, support us on Patreon! There’s other options, too, so pick what works best for you! And thanks! [podcast src=”https://html5-player.libsyn.com/embed/episode/id/5428361/height/360/width/480/theme/standard-mini/autonext/no/thumbnail/yes/autoplay/no/preload/no/no_addthis/no/direction/forward/” height=”360″ width=”480″ placement=”top”]We’re into the home stretch on Dash Cardigan with just two episodes left after this one! Be sure to let us know what you think of the series and whether you’d like to have season two. We know we said we’d have Nairobi Jack Rackham and the Lost Gold of the Atlantimengani by Thomas E. Fuller on the Express next, but that show is just a teensy bit behind schedule, so we might have some of the other great content we’ve been recording in the studio to give us some extra time. But fear not, the Express will not leave you stranded! [podcast src=”https://html5-player.libsyn.com/embed/episode/id/5344805/height/360/width/480/theme/standard-mini/autonext/no/thumbnail/yes/autoplay/no/preload/no/no_addthis/no/direction/forward/” height=”360″ width=”480″ placement=”top”]We’re into the home stretch on Dash Cardigan with just three episodes left after this one! Be sure to let us know what you think of the series and whether you’d like to have season two. We’ve got some ideas, but nothing’s written down yet, so let us know how quickly you’d like to see Dash return to the Express! Coming next on the Centauri Express will be Nairobi Jack Rackham and the Lost Gold of the Atlantimengani by Thomas E. Fuller. Dash Cardigan part 9 – Escape! [podcast src=”https://html5-player.libsyn.com/embed/episode/id/5260622/height/360/width/480/theme/standard-mini/autonext/no/thumbnail/yes/autoplay/no/preload/no/no_addthis/no/direction/forward/” height=”360″ width=”480″ placement=”top”]It’s time again for the Centauri Express and Dash Cardigan! This month, part 9, Escape! 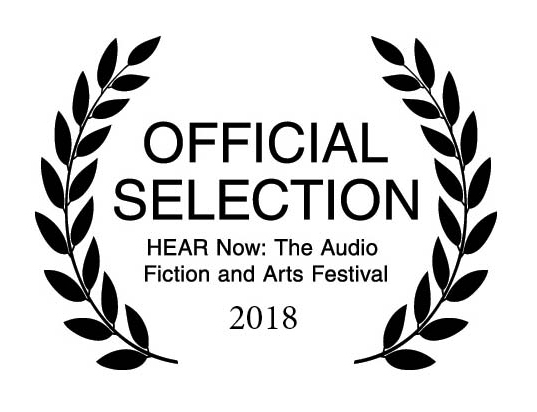 As many of you know, Dash Cardigan exists in two different forms for audio (it’s also a stage play, but that’s for another day) – the thirteen episode serial you’re listening to now and a one-hour version that we use for live performance. Whenever you do a conversion like that, something’s gonna get cut and today’s episode was cut pretty much in its entirety from the live performance version, so even if you’ve seen the show before, you’ve probably never heard this before! [podcast src=”https://html5-player.libsyn.com/embed/episode/id/5088245/height/360/width/480/theme/standard-mini/autonext/no/thumbnail/yes/autoplay/no/preload/no/no_addthis/no/direction/forward/” height=”360″ width=”480″]Another abbreviated edition of the Centauri Express this month as we prepare additional content and consider what our listeners would like to hear in their Audio Magazine. 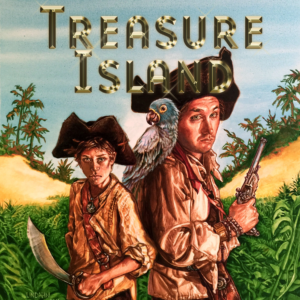 The big news this month is the release of Brad Strickland’s five-part adaptation of the Robert Louis Stevenson classic Treasure Island. Listen up for the discount code being offered to our podcast listeners and ways to get even bigger discounts! But act fast – the codes all expire on March 1, 2017! A bit of an abbreviated edition of the Centauri Express this month as we prepare additional content and consider what our listeners would like to hear in their Audio Magazine. [podcast src=”https://html5-player.libsyn.com/embed/episode/id/4898289/height/360/width/480/theme/standard-mini/autonext/no/thumbnail/yes/autoplay/no/preload/no/no_addthis/no/direction/forward/” height=”360″ width=”480″]Hello, everyone, and welcome back to the Centauri Express! This month we’re bringing you part 5 of Dash Cardigan: Flight Into Destiny by Thomas E. Fuller. 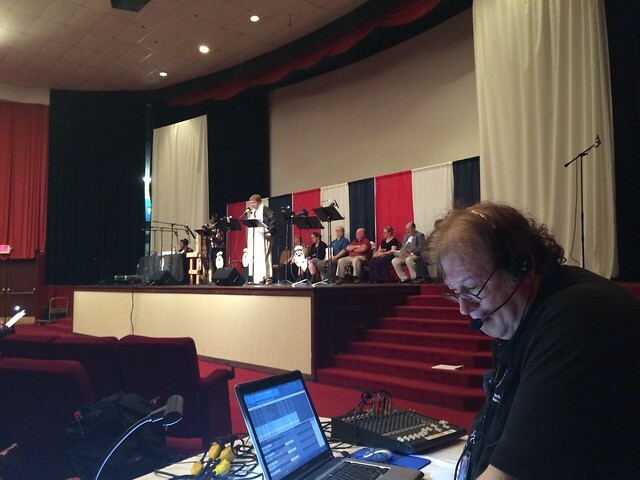 There’s also more from the panel discussion on acting for audio that we did at Libertycon 2016! 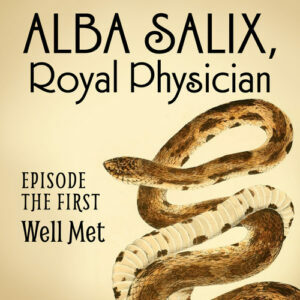 Plus, we’re also bringing you a trailer for one of our favorite audio dramas not produced by us, Alba Salix, Royal Physician. [podcast src=”https://html5-player.libsyn.com/embed/episode/id/4798336/height/360/width/480/theme/standard-mini/autonext/no/thumbnail/yes/autoplay/no/preload/no/no_addthis/no/direction/forward/” height=”360″ width=”480″]…and I’m back! Back from that road trip I mentioned last month at any rate. Hope everyone enjoyed the audio samples! This month we’re bringing you episode 4 of Dash Cardian: The Challenge of the Basilisk and a short segment from a panel discussion on acting for audio from LibertyCon 2016. We’re also bringing you short show notes because I’m heading back out on the road again from 11/5-11/16, so I’m getting this podcast scheduled before I leave…along with several other things that have to get done. This trip is for an arts marketing conference so I can learn some new ways to get more folks to listen! If you’d like to help with that, just tell your friends about the Express, Dash Cardigan, ARTC, and audio drama in general! Thanks!